The Othinian series is on sale! You can get your copy of the teen fantasy adventure novel, Othinian: The Other Side of Fear, for free on Amazon May 18-20. Download your copy here. Othinian: The Other Side of Courage is also on sale for 99 cents May 18-20, so you have the opportunity to get both books for under $1! Get it here. One Girl. One Choice. The fate of a kingdom will be decided. When Alessa’s little brother falls deathly ill, her only hope of saving him is to make the difficult journey across the kingdom to find the evil King Natas who she has been told may have a cure. Along the way, she meets an intriguing boy named Kaylan, and to her surprise, he offers to help her on her quest. As they grow closer on their journey, strange things happening around them lead to a terrible discovery: their entire kingdom may be danger! Can Alessa overcome her fears in order to save her family and make a critical choice that will determine the fate of her people? 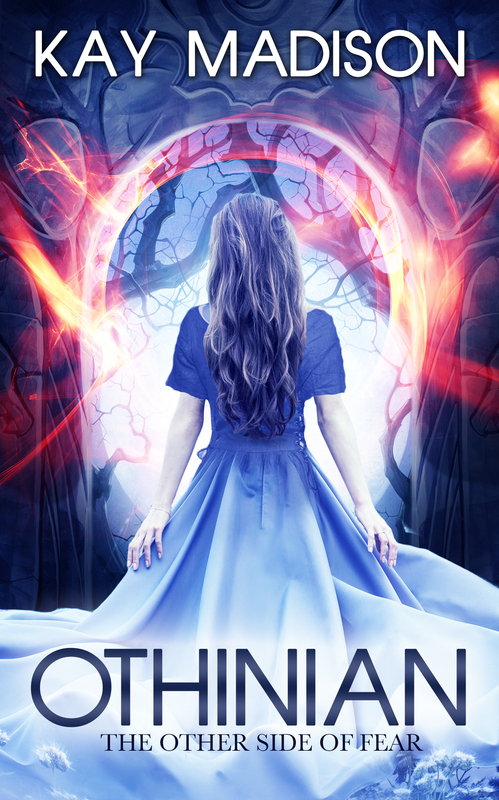 Othinian: The Other Side of Fear is a teen fantasy adventure novel about the life changing journey of one girl whose simple quest to save her brother leaves her with the sole power to make a decision that will affect the entire kingdom. Hello! I'm Kay, author of the teen fantasy series Othinian. Thank you for visiting my site! This entry was posted in Articles and tagged Free Book, kindle books, Othinian, Othinian: The Other Side of Courage, Othinian: The Other Side of Fear. Bookmark the permalink. New Release! Book 2 in the Othinian Series, Othinian: The Other Side of Courage, is Out!